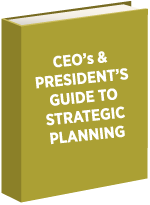 CEO and PRESIDENT’S GUIDE TO STRATEGIC PLANNING – Will You Make These Seven Mistakes? According to a survey of 2,887 Palo Alto Software’s Business Plan Pro Users, those who completed a plan were twice as likely to succeed, twice as likely to attract capital, and 45% more likely to grow. Being forewarned is being forearmed. Executives don’t intentionally commit these mistakes. They occur because they are outside their experience. WHAT'S YOUR MOST IMPORTANT STRATEGY CHALLENGE? Have You Taken Our Strategic Assessment?